Winnicott was continually innovating, inventing, and proposing unexpected solutions in his analytical work whenever he noticed that clinical experience "didn't stick to the theory". This approach can make his work seem rather diffuse, with concepts that are sometimes confusing and needing to be clarified. Laura Dethiville has taken on the task of re-evaluating and explaining the principal rudiments of his theories, such as the transitional object, the self, the false self, the importance of environment, and dissociation. 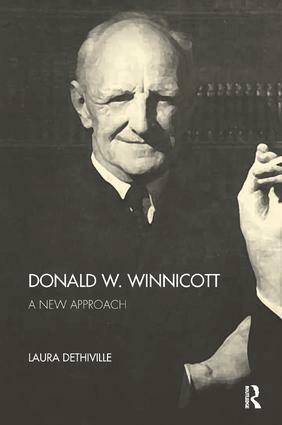 She also reveals how Winnicott showed himself to be a forerunner in the care of symptomatic illness in our society, including his innovative treatment of loss of identity, anorexia or bulimia, delinquency, psychosomatic illness, and school disorders. In this book the author has succeeded in avoiding psychoanalytic jargon and, although initially aimed at psychoanalysts, it is also accessible for educators, child carers, paediatricians, and to all those interested in early childhood, the constitution of the psyche, and the constitution of the interpersonal link.